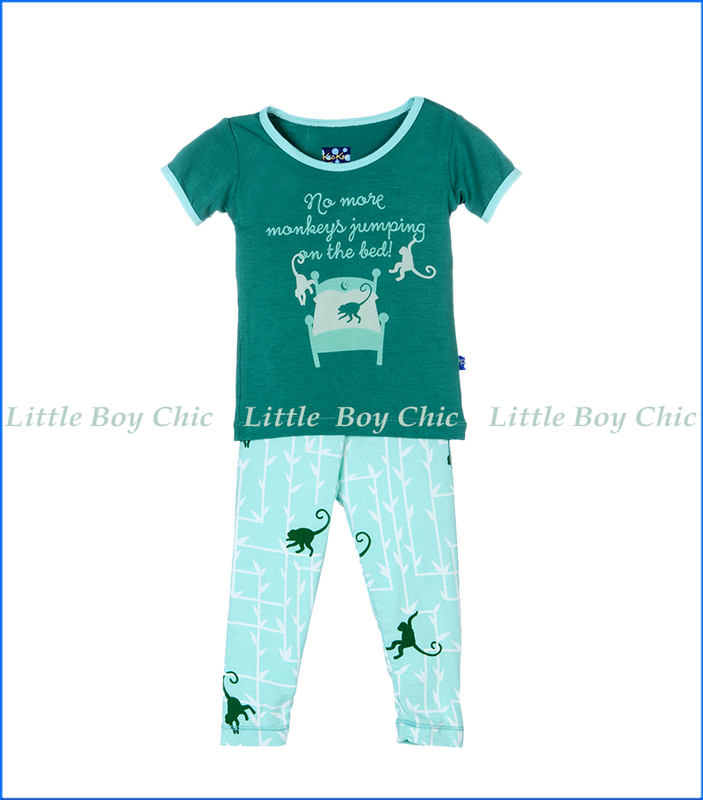 These PJs by Kickee Pants have just the right send-off message for for our boy's sleeptime. He'll be his most comfortable in these monkey print short sleeve (S/S) pajamas. Made of super soft, breathable, and eco friendly bamboo fabric that feels cooler in hot weather and warmer in cold. Soft hand feel that is specific to bamboo fabric. A tad of stretch for added comfort. Snug fitting for extra safety. Free of flame retardant and safe for kids.